Looking for the Best Christmas side dishes? Fret no more! This year your holiday menu will blow you away with these tried and loved holiday dishes. From traditional to unconventional, these are the most amazing and enjoyable Christmas dinner side dishes. I have gathered the best Christmas side dishes to serve up this holiday season. Side dishes can truly be the star of your dinner. Why not try some new recipes mixed in with some traditional sides and really wow your guests. Whether you need a dish or two to take to a potluck or you are in charge of the full meal, these recipes will help make your Christmas dinner a success. No matter if you are serving a baked ham, roast turkey or even a prime rib, all of these recipes will be a perfect way to compliment your main dish. 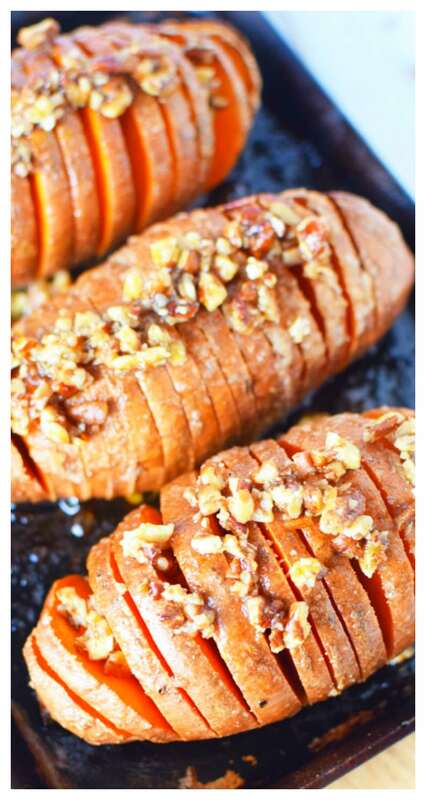 Hasselback Sweet Potatoes| Salty Side Dish: This is a twist to a traditional sweet potato side dish. A delicious take to the sweet potato and only requires simple ingredients. 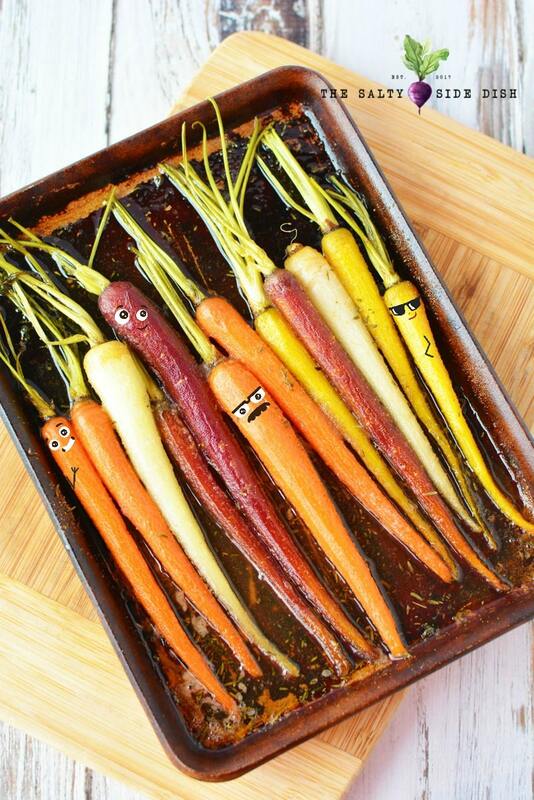 Honey Glazed Rainbow Carrots| Salty Side Dish: A sweet and spicy carrot that has a drizzle of honey over the top. Talk about good enough to eat! Or grab these roasted carrots for a more traditional spin. Cranberry Jello Salad| Dinner at The Zoo: This cranberry salad is great to eat alone, spread on your dinner rolls, or mix with your ham and turkey. It has the perfect amount of sweet and the orange zest really brings a whole new dimension of flavors to this salad. 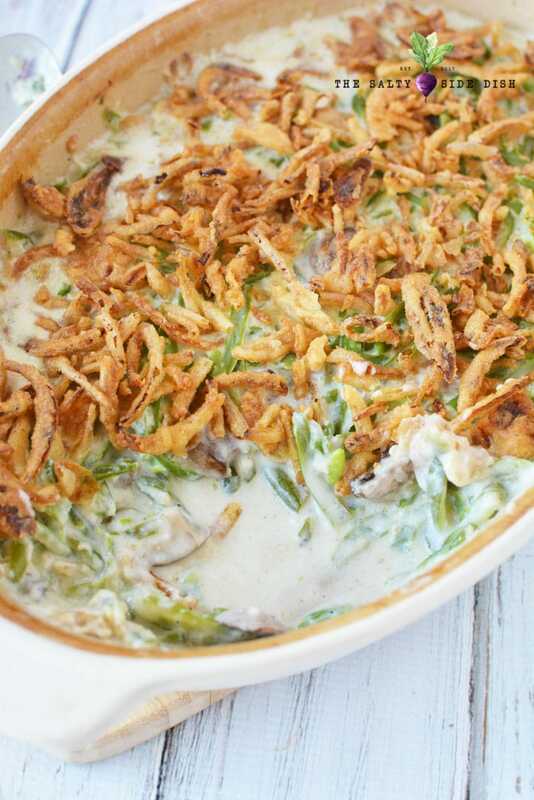 Green Bean Casserole| Salty Side Dish: Looking for a traditional take on the classic green bean casserole? If so this recipe is your go-to! You get that creamy and smothered green beans topped with crunchy onion bits. Easy Spinach Souflee| Living Sweet Moments: This creamy dish is simple to make and in minutes you can have it whipped up and in the oven baking. Brussels Sprouts with Bacon and Shallots| Money Wise Mom: Looking for a dish that is full of savory goodness topped with bacon. This dish will win awards for flavor and presentation value. 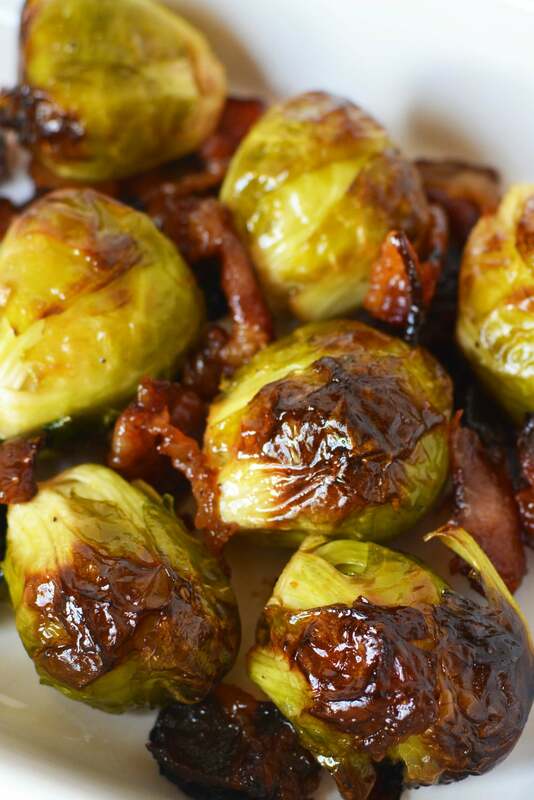 I also adore these maple bacon brussels sprouts, a perfect layering of sweet! Slow Cooker Herbed Garlic Mashed Potatoes| Thrifty Jinxy: Save room on the stovetop and make your mashed potatoes in the slow cooker. It is a simple way and they are just as creamy and flavorful as cooking on the stovetop. 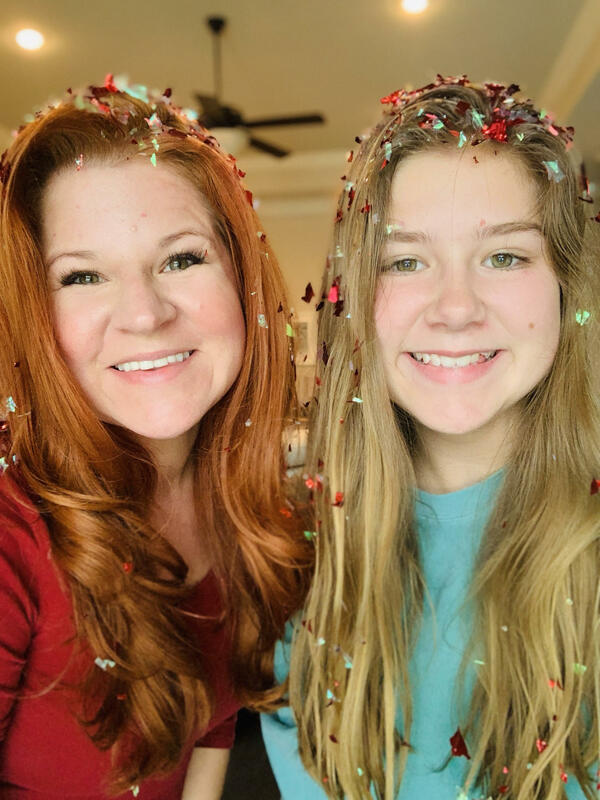 Green Bean Bundles| Dinner at The Zoo: Skip the green bean casserole and wrap green beans in bacon for the ultimate Christmas side dish to serve up. The flavor of the bacon paired with the green beans really is a savory treat. Cranberry Apple Walnut Stuffing| Thrifty Jinxy: Packed full of delicious fruits and vegetables to give you a hearty and delicious side dish. This stuffing really will amaze your guests at the savory and sweet flavors. Simple Carrots| Cincy Shopper: A simple but delicious dish to serve. You have the sweetness factor paired with herbs that bring this dish to perfection. Balsamic Roasted Asparagus| Money Wise Moms: You get the earthy taste from the asparagus, tang from the balsamic glaze, and topped with rich feta cheese. 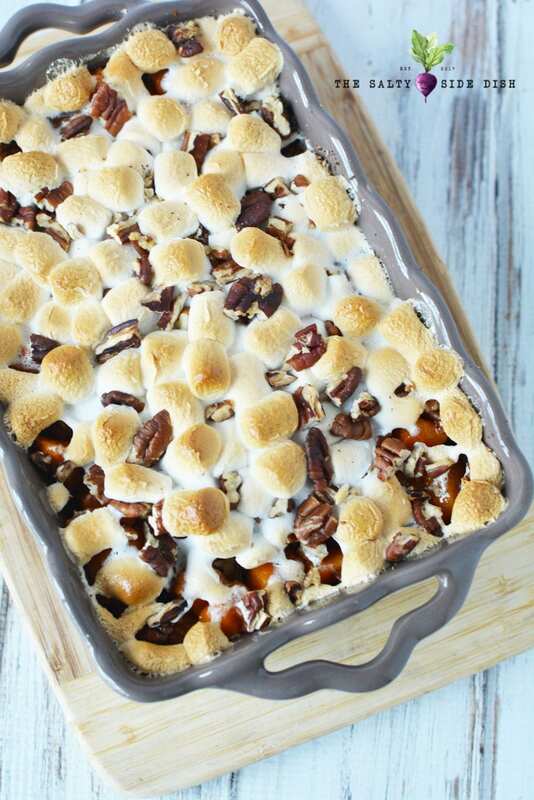 Sweet Potato Casserole with Marshmallows| Salty Side Dish: A very traditional recipe that always gets devoured in our home. A topping of marshmallows really adds the sweetness factor to this dish. 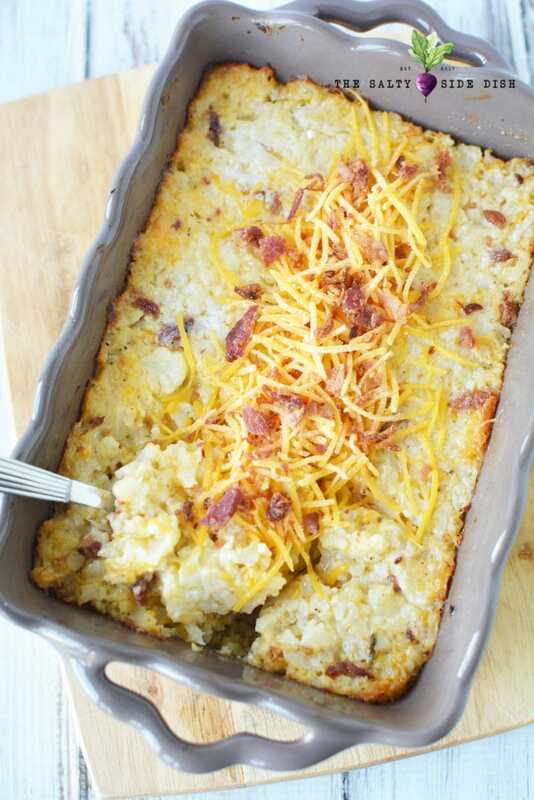 Loaded Cauliflower Casserole with Bacon and Cheese: Salty Side Dish: If you are looking for a low carb side dish, try this mashed cauliflower. It is similar to mashed potatoes, and these are loaded with ooey-gooey cheese and salty bacon. Apple and Raisin Stuffed Acorn Squash| Savings Lifestyle: A very affordable and hearty side dish. You can make up a bunch of these so each guest gets a 1/2 of a squash. Cheesy Kale Mashed Potatoes| Taste and See: Rich and filling mashed potatoes that are loaded with kale, garlic, green onions, and cheese. Talk about a loaded mashed potato. Asparagus Puff Pastry Tarts| Dancing Through The Rain: Beautiful puff pastry with hearty asparagus lightly seasoned in the center and baked to perfection. You might also love your asparagus wrapped in bacon! Cheesy Broccoli Bake| Mom Endeavors: Move over green bean casserole, mama has a new dish in town. You get this rich creamy and cheesy broccoli casserole that is so wholesome. A true comfort food dish. Instant Pot Corn Casserole| The Typical Mom: Turn on your favorite kitchen appliance, the Instant Pot and create this cheesy and a little sweet corn casserole. Don’t have an instant pot? No problem! 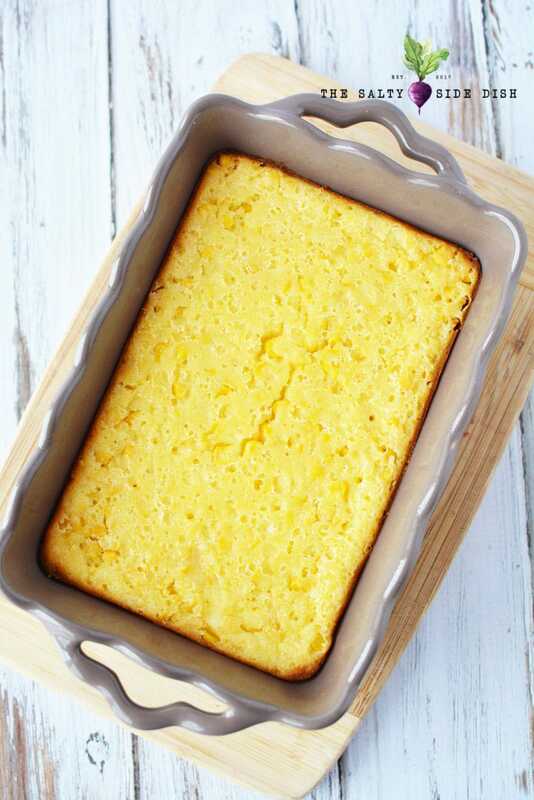 Try Sweet corn casserole in the oven or my favorite, sweet corn pudding! Easy Cornbread Stuffing| Melanie Cooks: Change up your stuffing this year and go the cornbread stuffing route. You get that slightly sweet taste paired with flavorful veggies to create a whole new flavorful take on stuffing. Looking for something more traditional? My favorite is this homemade stuffing recipe! No Biggie! Try these low carb side dishes for thanksgiving or these amazing keto friendly thanksgiving side dishes!